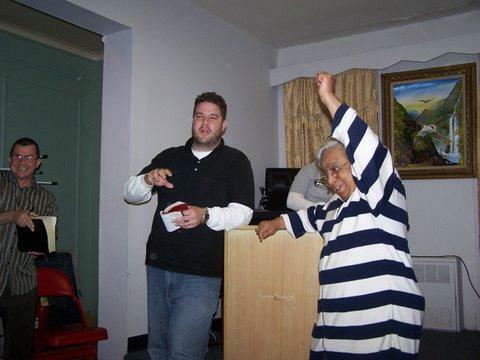 In 2006 and 2007 I went on two separate mission trips to New York City with my church plant from Tennessee (this picture is of me preaching though an interpreter at a drug rehab of Puerto Rican men). The trip was hosted by a great group called the New York School of Urban Missions. This trip focused on a variety of outreaches, but serving the homeless was a key focus. We would go out at midnight, and take blankets to the homeless. I respect so much this ministry who does this on a regular basis, and not simply a special trip. I believe we need to ask people tough question about eternity, but our hysteria to get people “converted” can cause us to overlook the value of simply loving people in the name of Jesus. To the homeless man who could have froze on the street, that blanket meant something that night. Being warm that night was more important than being a statistic for conversion. Non-Christians need to feel our hearts of compassion for the hurting, before they will listen to our Four Spiritual Laws.